To receive an instant online quote, simply provide your details below. Once you‘ve received your quote, you can choose to list the property or business. 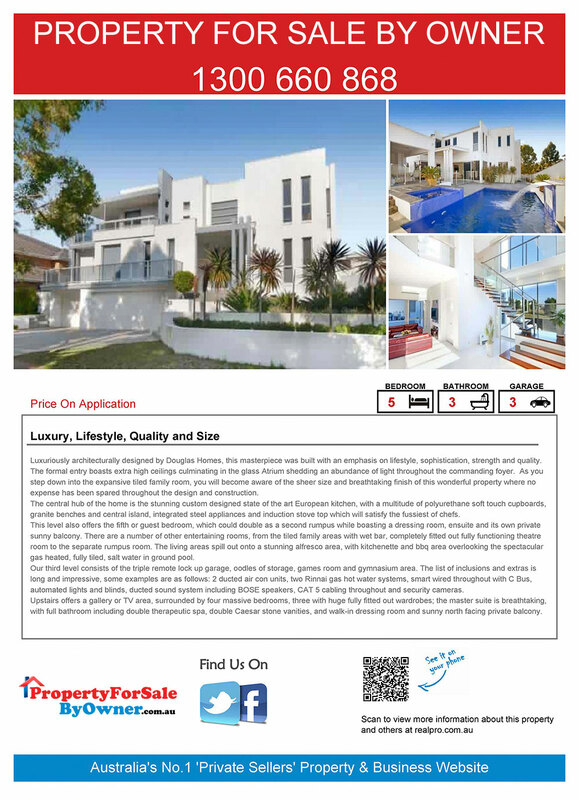 Property/Business Brochures are FREE – download from the PropertyForSaleByOwner.com.au website and print as many as you like to promote your Property or Business! If you don’t want to spend money on boards, we suggest making use of our FREE PropertyForSaleByOwner Board to advertise your property for sale or lease and make it easy for prospective buyers or tenants to find your property for viewings. This sign is made from lightweight and waterproof corflute, and is 600 x 900mm in size. The corflute boards are delivered or posted, depending on your location. Installation is not included however, the signs are very light and easy to install. 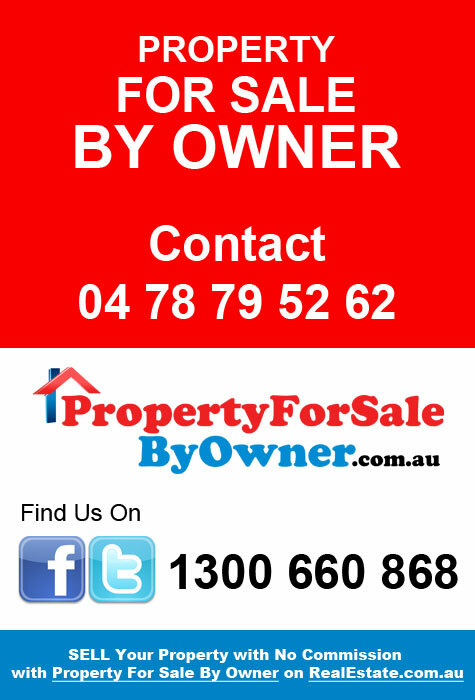 Your first PropertyForSaleByOwner board is FREE and additional low cost boards are available if required. This 1200 x 900mm professional photo sign board is made from steel and accommodates up to four images of your property. Simply choose the images and text you’d like to display on the board and we’ll take care of the rest! We’ll send you a proof for your approval before the board is printed and arrange for the installation and the removal of the sign after sale or lease via our sign board partner. *Sign boards may not be available in all areas. Your property will certainly be noticed with this 1800 x 1200mm professional photo sign board made from steel. Select up to four images and the text you’d like to display and we’ll do the rest. You’ll receive a proof of the board for approval. After approval, your board is printed, and we’ll arrange installation through our sign board partner. We’ll also arrange the removal of the board after sale or lease. 28 day priority listing on RealEstate.com.au puts your home on the first page of all listings on RealEstate.com.au in your town or suburb. RealEstate.com.au has a database of over 1 Million buyers who have registered their details and the criteria of the property type they are looking for. An eBrochure are an electronic flyer of your listing to people in this database, whose search criteria match your property details. This provides you with access to a qualified audience of property buyers, and a cost-effective tool to increase property views and enquiries for our vendors. To find our home many buyers are preregistered for alerts on your home please click here. We don’t want you miss an enquiry! Our team are on the job 7 days a week*, to take enquiries from people interested in your property. Trained staff answer the calls and connect the enquirers with you in the most appropriate (or specifically requested) manner, whether it’s by forwarding the call to your number, or sending the details to you via an SMS or email. age for any Residential Sale. This free trial includes listing your property on realestate.com.au for 7 days absolutely free with no obligation to sign up. Copyright © 2019 propertyforsalebyowner.com.au All rights reserved.